Okay, so this is hard. I said I was going to choose a few of my favorite recipes that were linked up last week and highlight them today. Notice I didn’t say how many. Which is a good thing. Crockpot Peanut Butter Cheesecake from Kristin’s kNook looks intriguing. I can’t wait to try this. Peanut Butter Turtle Kiss Surprise Cookies from Something Swanky. My Mom is going to love these! Such a creative idea. Two Ingredient Pumpkin Muffins from Sweet Verbena. I love pumpkin muffins. These will definitely be on my list of to-do baking this Fall. 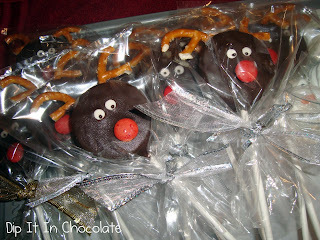 Reindeer (and Snowman) Oreo Pops from Dip It In Chocolate. So. Freakin’. Cute. Pie Crust Fries by mad.amyt. Um, it’s piecrust. With cinnamon sugar on top! I could go on and on and on. I loved every single recipe that was linked! I hope you’ll join up again this week and come back next Tuesday to see my favorites. Each of these pictures have been pinned. The photos here belong to their respective blogs, I just borrowed them to showcase here. If you’ve been featured, be sure to grab the “Featured” button from the Crazy Sweet Tuesday page! Crazy Sweet Tuesdays is a day for all you great bloggers out there to share your yummy sweet treats. Link up as many as you want and let’s have a party! Sweet treats only please! Please link to the URL of your post, not to your main page. Please either subscribe to Crazy for Crust or follow through GFC, Facebook, Twitter, or Networked Blogs. 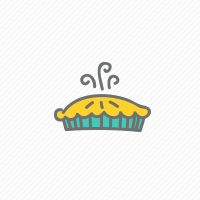 Link back to Crazy for Crust or grab my button (code is below). Anywhere is fine! Visit some of the links and comment. Drool along with me at the sweet goodness of it all. Be sure to check back next Tuesday to see if you’ve been featured! Thank you so much for visiting our blog. I’m your newest follower 🙂 Sorry we missed this week’s link up but I will come back next week and link something up. Thank you for the invite. Does any one know what other biscuit (cookie) we can substitute for graham cookies. we don’t have these in Australia. looking for a descent substitute.